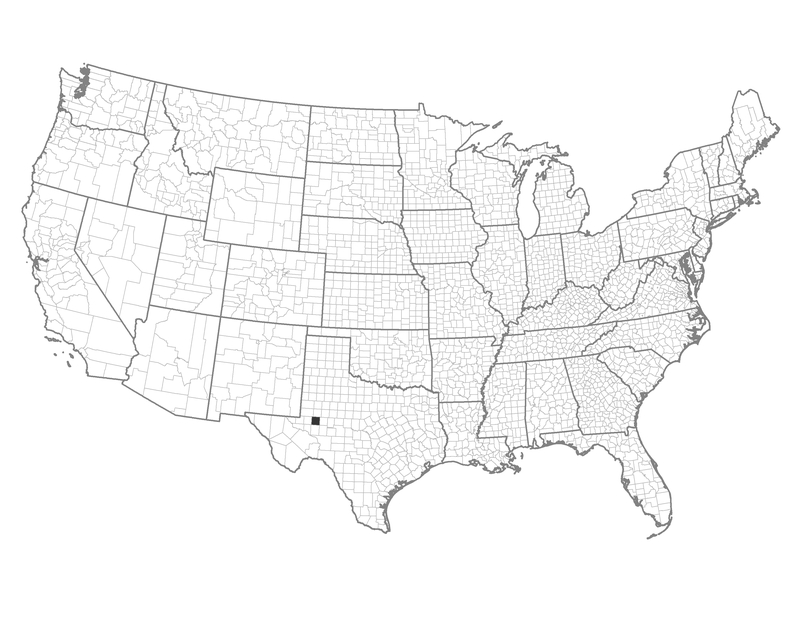 Only one county falls in this group and that is Midland County Texas. It is distinguished from its neighbors by its greater degree of socio-economic stress and fewer ignitions. Example of a Typical County — Midland County, Texas: This west Texas county includes the town of Midland. Large fires occurred here during the severe drought of 2011. This county may have contiguous areas that could benefit from the use of landscape-scale prescribed fire. Strategic fuel breaks may be warranted. This is a non-forested county where regular use of mowing or grazing may be useful for reducing fuels.